"The chief object of every golf architect or greenkeeper worth his salt is to imitate the beauties of nature so closely as to make his work indistinguishable from nature itself." 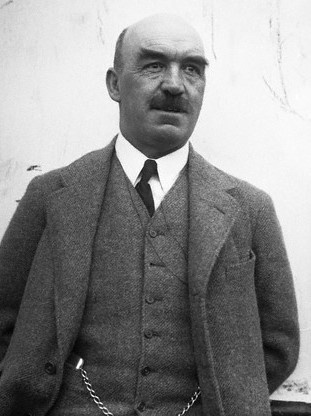 Dr. Alister MacKenzie is revered as one of the greatest golf course architects ever to put pencil to paper. But like many course designers he had a roundabout way of coming to the game. Originally trained as a doctor he never really earned a living in medicine. In World War I he served in the military with a specialization in camouflage. He carried that skill into course design and some of his creations are listed as the greatest, and most timeless courses ever built. MacKenzie’s Cypress Point, Royal Melbourne, Pasatiempo and his most famous design, Augusta National, rank as the standard to which other courses are measured. Today’s course architects continue to use MacKenzie’s design features and rules in designing their courses. The course should be arranged in two loops of nine holes. There should be a large proportion of good two-shot holes, two or three drive-and-pitch holes, and at least four one-shot holes. There should be little walking between greens and tees and the course should be arranged so that in the first instance there is always a slight walk forwards from the green to the next tee; then the holes are sufficiently elastic to be lengthened in the future if necessary. The greens and fairways should be sufficiently undulating, but there should be no hill climbing. Every hole should have a different character. There should be a minimum of blindness for the approach shots. The course should have beautiful surroundings and all the artificial features should have so natural an appearance that a stranger is unable to distinguish them from nature itself. There should be a sufficient number of heroic carries from the tee but the course should be arranged so that the weaker player with the loss of a stroke or portion of a stroke shall always have an alternative route open to him. There should be infinite variety in the strokes required to play the various holes…interesting brassy shots (fairway woods), iron shots, pitch shots and run up shots. There should be a complete absence of the annoyance and irritation caused by the necessity of searching for lost balls. The course should be so interesting that even the plus man (scratch) is constantly stimulated to improve his game in attempting shots he has hitherto been unable to play. The course should be so arranged so that the long handicap player, or even the absolute beginner, should be able to enjoy his round in spite of the fact that he is piling up a big score. The course should be equally good during winter and summer, the texture of the greens and fairways should be perfect and the approaches should have the same consistency as the greens.